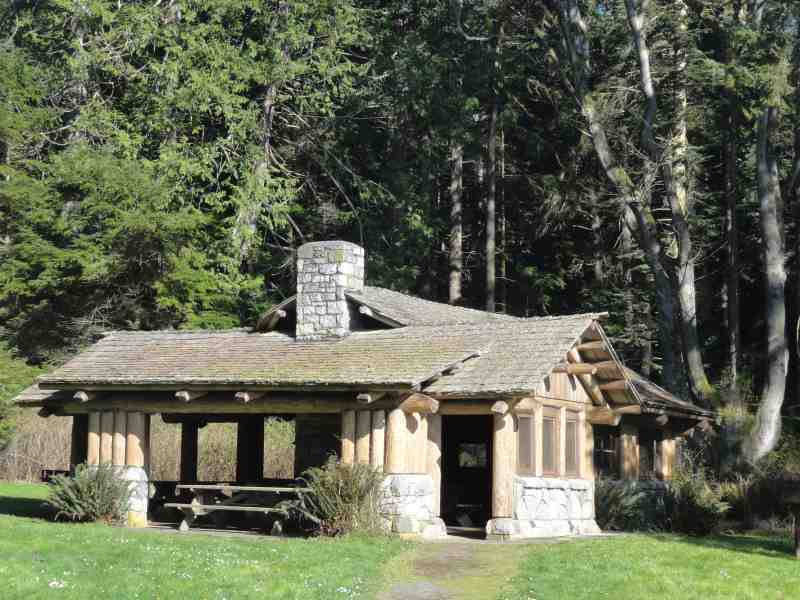 One of two large Civilian Conservation Corps-built picnic shelters at Bowman Bay, the “Upper CCC Shelter” is a unique and widely used structure in the park. 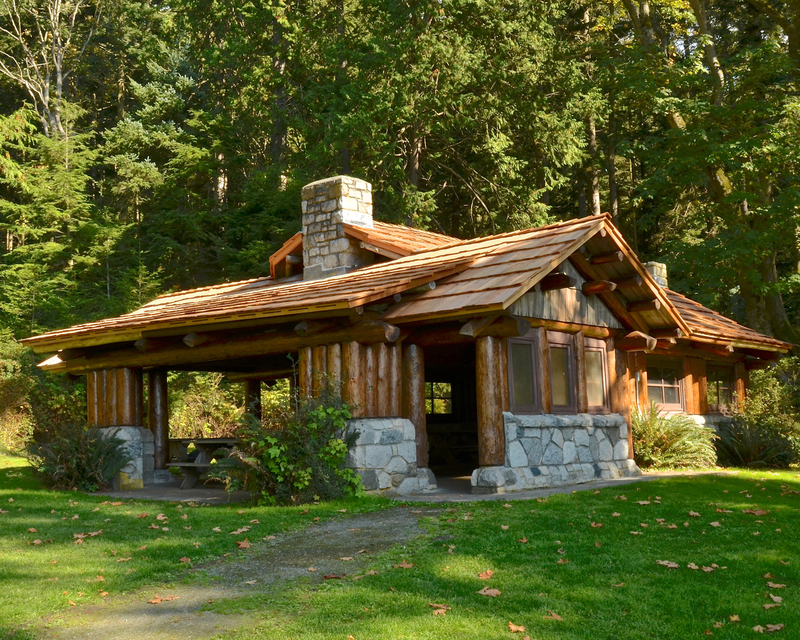 It has a design that is different from all of the other shelters at the park, with the stove in the middle of the long axis and entrances on both sides. 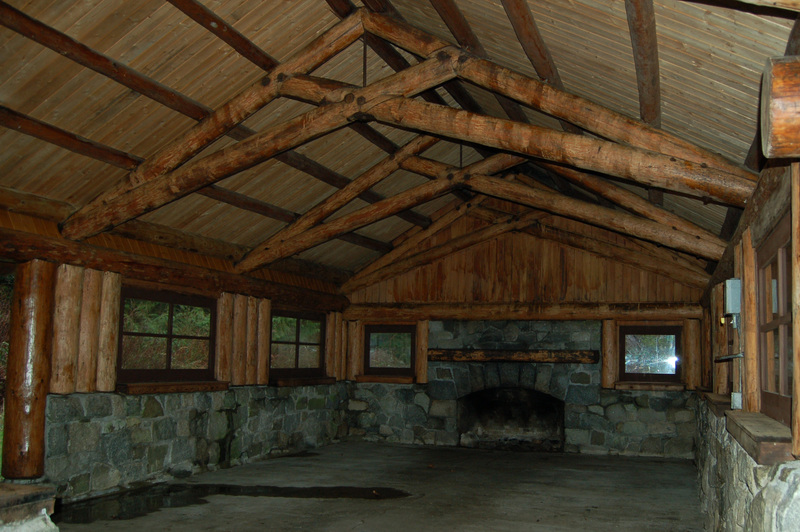 The shelter was in poor to fair condition and needed significant work to be properly protected for the future. With limited state resources available for historic preservation, the shelter has not been well cared for during recent decades. 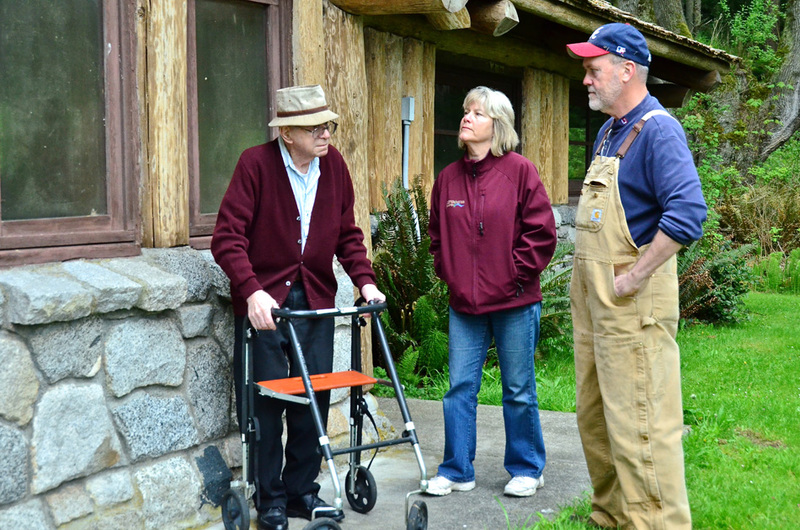 Recently, the Foundation has sponsored over $15,000 worth of projects to help restore the shelter to its original 1935 condition. This is the largest project that the Foundation has taken on to date. 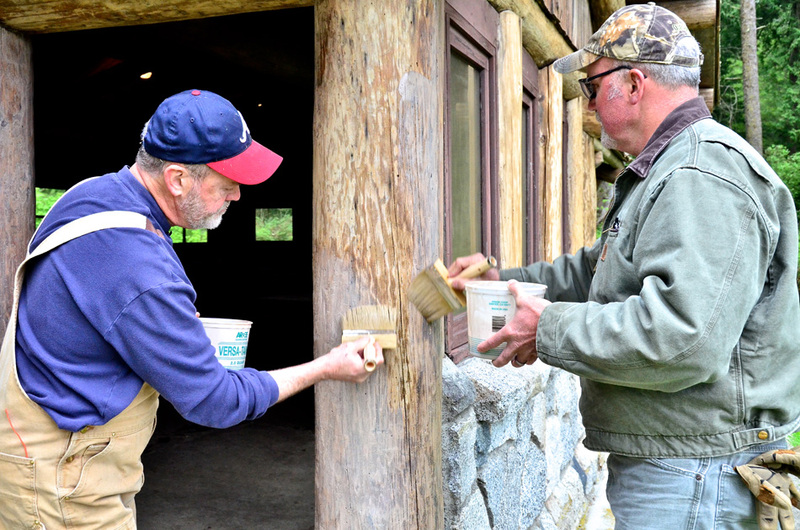 We partnered with the Whidbey Island Retired Chief Petty Officer’s Association (RCPOA) to strip and refinish all of the shelter’s exterior wood in March of 2013. 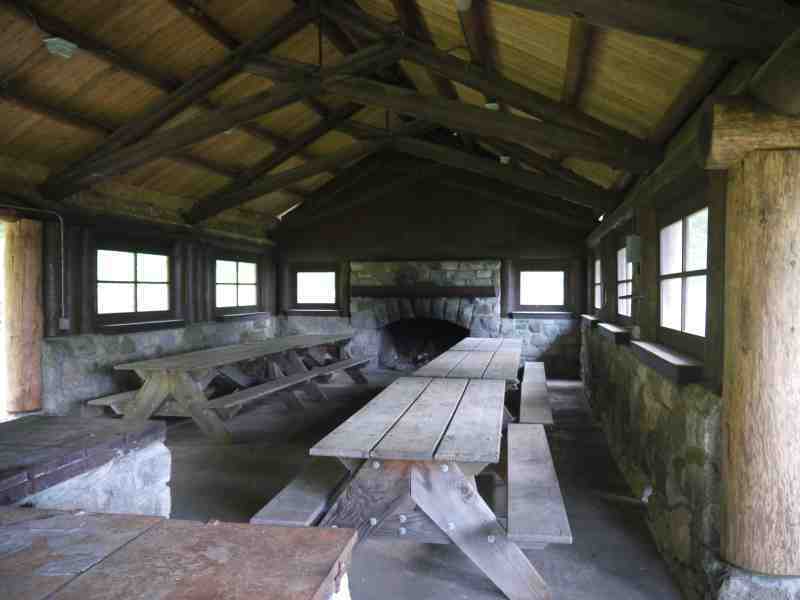 We also paid for professional repointing and patching on the shelter’s stoves and two chimneys. 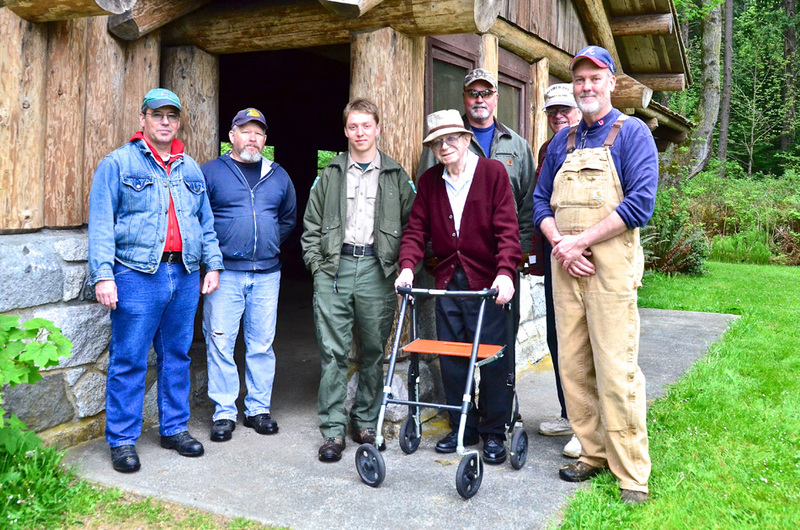 In July of 2013, VAQ-131 removed the old roof from the shelter in preparation for a new roof installed by parks staff in the fall of 2013. 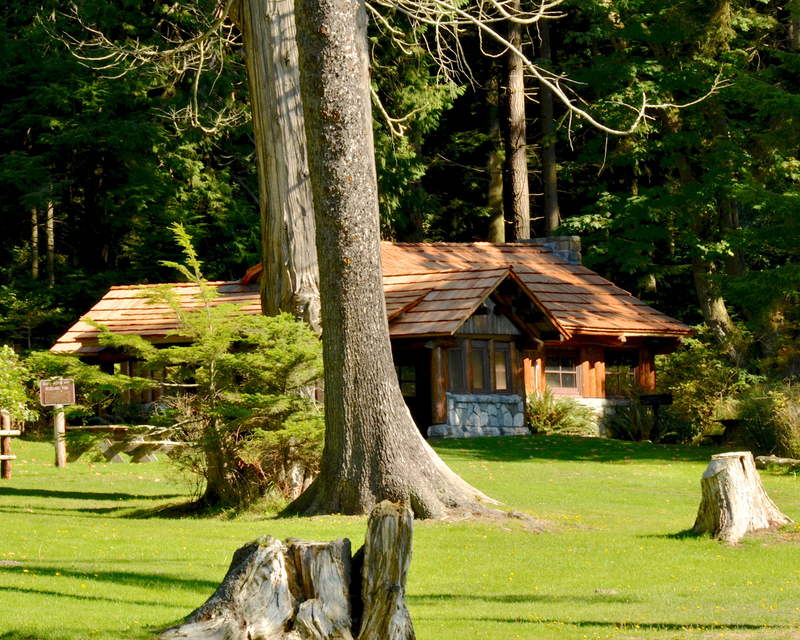 The new cedar shake roof will last several more decades. 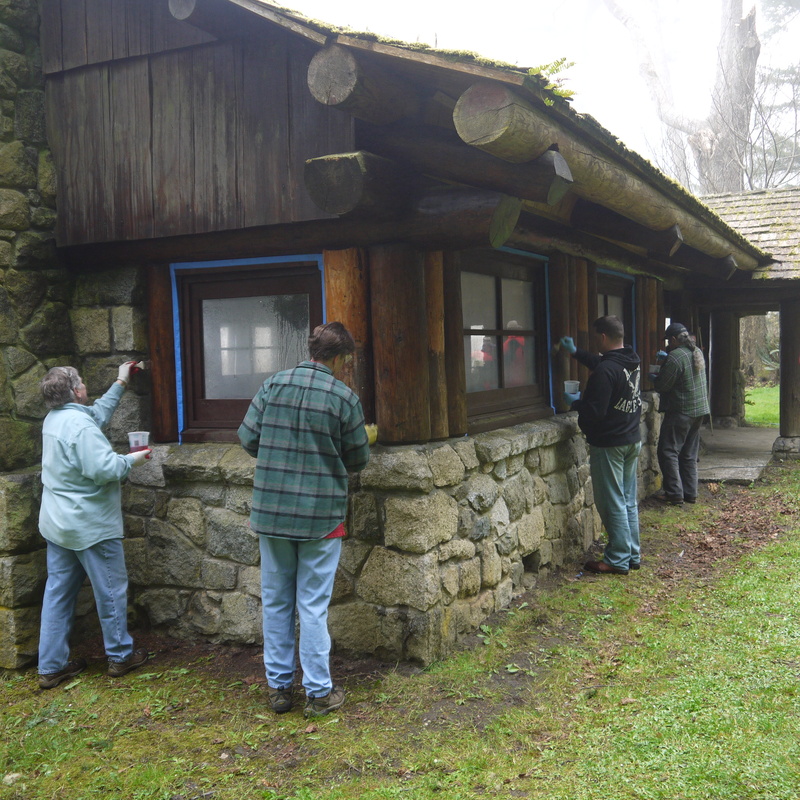 On President’s Day weekend 2014, VAQ-138 CPOs, VP-40 CPOs and First Class Petty Officers came out to strip the shelter and prepare it for staining. The group did a wonderful job and completed the project in one day. 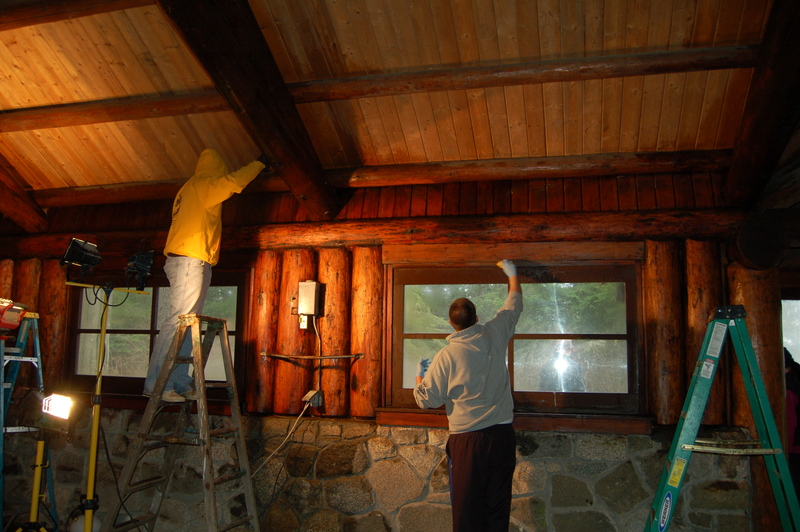 The staining will take placewhen the weather warms up and the logs dry out. 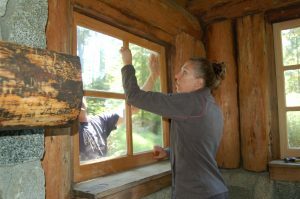 Volunteers Rachel Dentel and Nathan Adams work together to install a window. 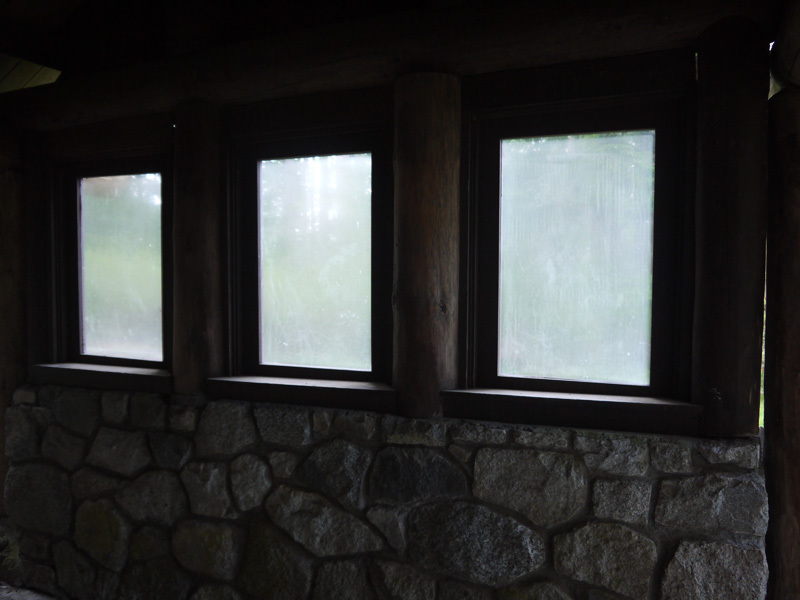 Early in August 2014, Lex Palmer and a small group of volunteers with HDR, Inc. installed new glass windows to replace the cloudy Plexiglas windows. 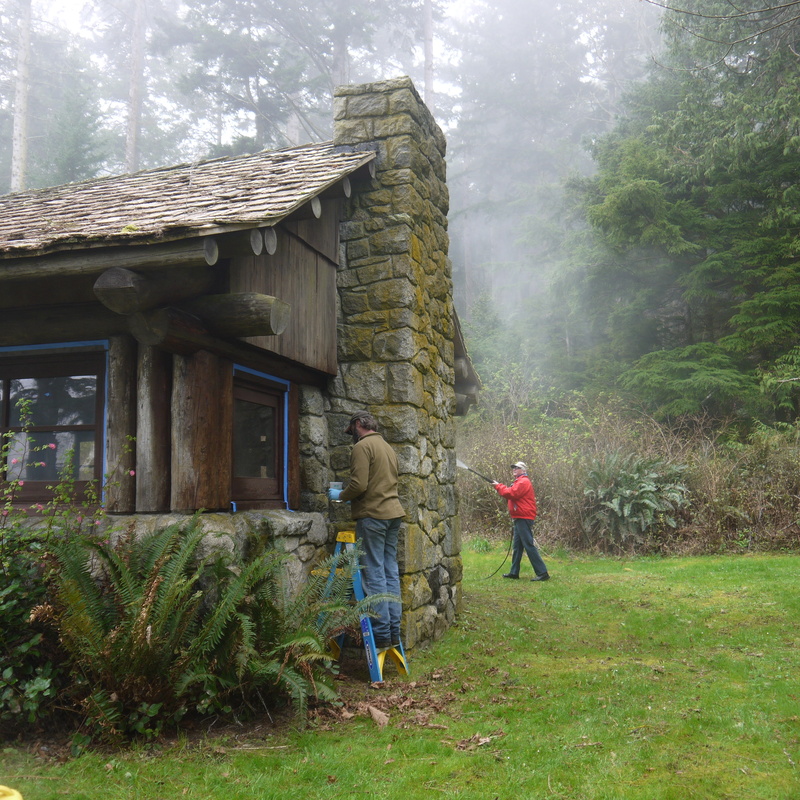 Deception Pass Park Foundation volunteers did the glazing on the windows. 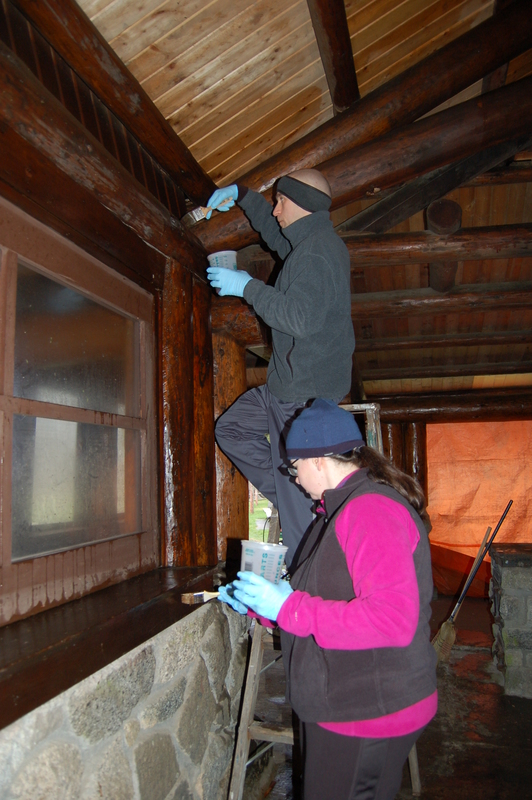 Continue to check back with us for more updates on this shelter restoration project. Lex Palmer and HDR, Inc.